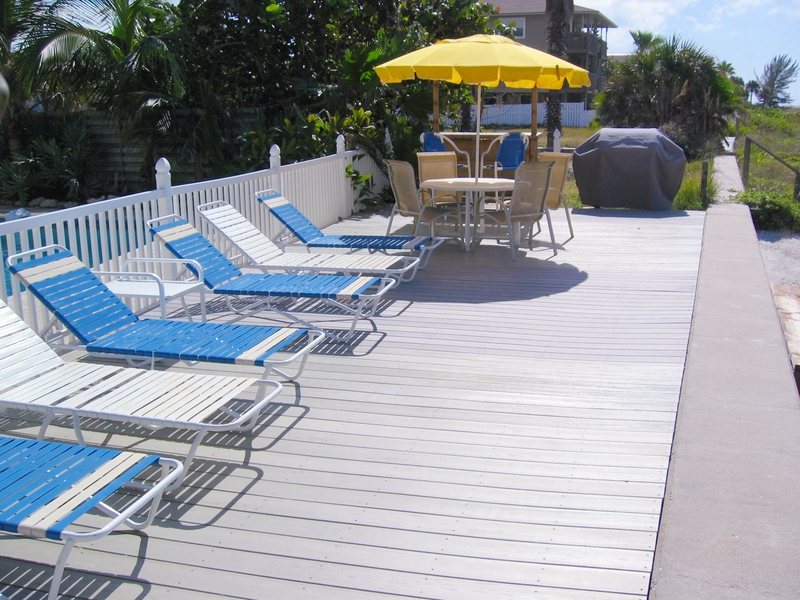 The new composite deck is a lovely spot to sunbathe and gaze at the beach and water. 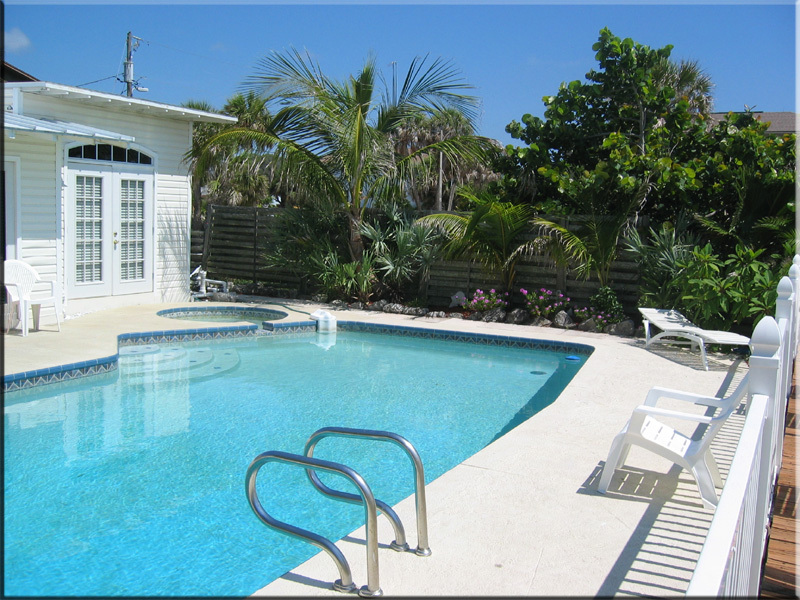 You can step directly off of it onto the sand or return back to the fenced pool deck. A charcoal grill can be found at one end of the deck and a fresh water shower at the other. 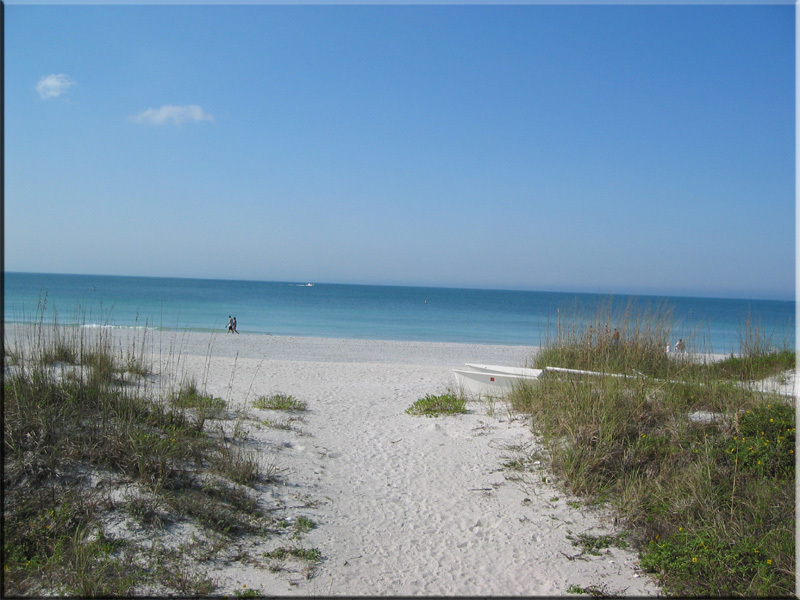 Our beaches are always ranked as some of the best beaches in the world. 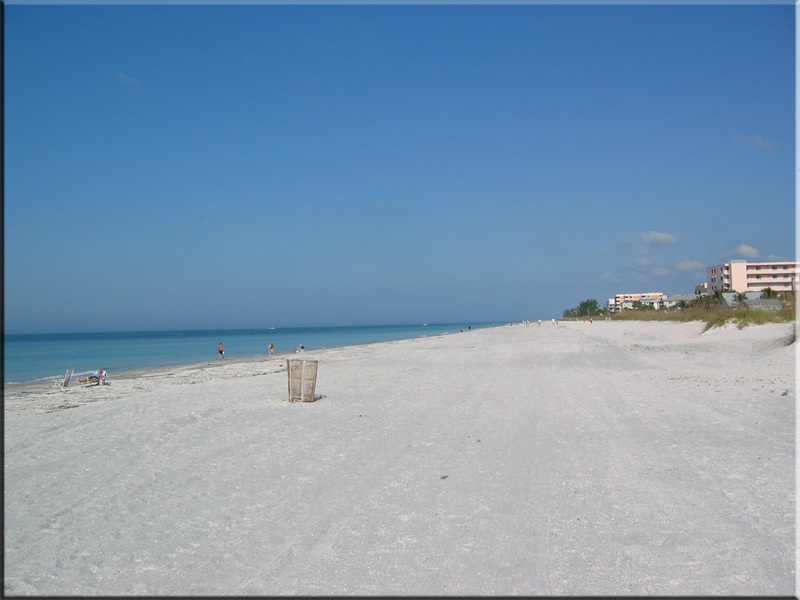 Our guests love the fact that our beach is never crowded and unspoiled. If you think they look nice here, wait till you see them in person !! Click continue tour for more photos.